After a bye week, the Weber State University football team will be back in action this weekend as it hosts the University of Montana Grizzlies on Saturday. 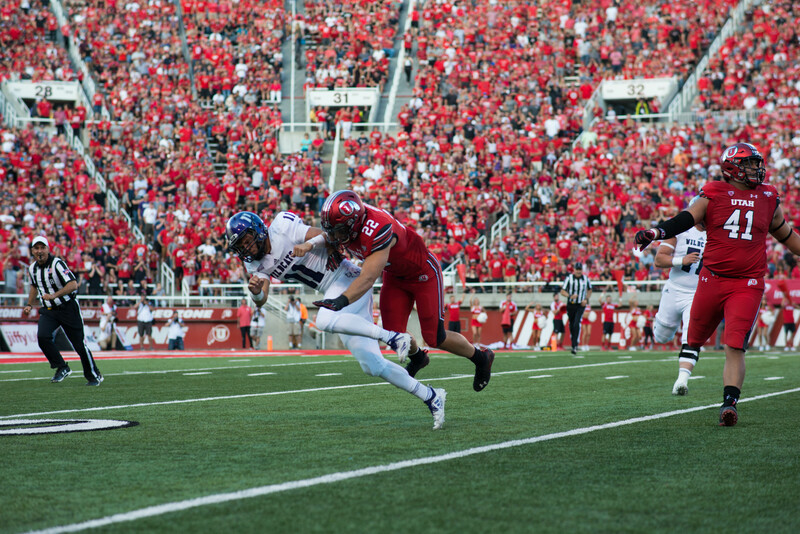 The last time the Wildcats played was two weeks ago, when they secured their first win of the season against Southern Utah University. Head Coach Jody Sears said his team had a chance to rest last week and that he’s confident they’ll be ready to go against a tough UM team. “It was nice to have a break last week, but we’re excited to get back playing this week and we’re excited to be back home,” Sears said. WSU wide receiver Xavian Johnson said there is a good feeling during practice and among the team following its win against SUU. The Grizzlies will be coming into the game without four of their players. Three players were suspended earlier this week and one Grizzly was dismissed from the team. Linebackers Nick Holt and John Kanongata’a and offensive lineman Kjelby Oiland will miss the game against WSU after being suspended for a violation of team rules. Also, UM’s Tyrone Poole was kicked off the team last week after being arrested on felony drug charges. UM is coming into the game with a 4-5 record and coming off a blowout win against Idaho State University. Last weekend, the Grizzlies blew past ISU, winning 70-24. 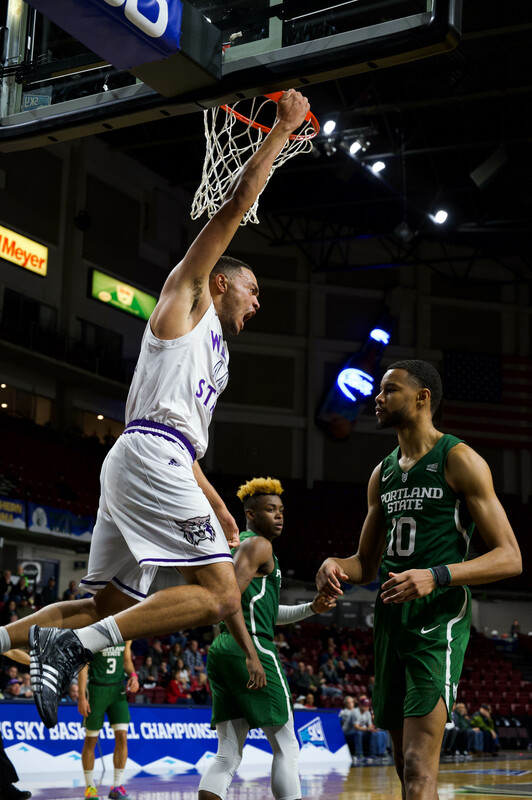 The win against ISU was the Grizzlies’ second conference win of the year. If the Grizzlies fail to win their final two games of the season, they will have their first losing season in 27 years. The Grizzlies lead the Big Sky and rank 12th in the nation in total offense, averaging 464.6 yards per game. However, they are giving up 400.8 yards of offense per game to their opponents. They are second in the Big Sky Conference and 10th in the nation in rushing offense at 246.7 yards per game, and second in the league and fifth in the country in rushing defense at 90.9 yards a game. They rank 10th in the Big Sky in passing offense at 217.9 a game. The Grizzlies’ defense tops the country with 35 sacks. Peter Nguyen, a running back for the Grizzlies, is fifth in the conference in rushing, averaging 79 yards per game, and ranks eighth in the league in all-purpose yards. He rushed for 107 yards and one touchdown in UM’s win against ISU. Sophomore quarterback Shay Smithwick-Hann started his first career game as quarterback against the Bengals and finished the day 14-21 for 205 yards and three touchdowns. Sears said he expects the game against the Grizzlies to be a tough one, despite the troubles they’ve had this season. This will be the 51st meeting between the two teams, with UM holding a commanding overall advantage. The Grizzlies have won 38 games against the Wildcats. UM won the last meeting between the two teams in Missoula, Mont., last season with a 45-10 win. After Saturday’s game, WSU will stay at home and play its final home game of the season next week against the University of Northern Colorado. WSU will then travel north and take on rival ISU in its final game of the season. Saturday’s game will be televised on Root Sports.